Tickets are on sale for the New Zealand leg of Prof Brian Cox’s first world tour, Professor Brian Cox Universal World Tour 2019: Live On Stage. 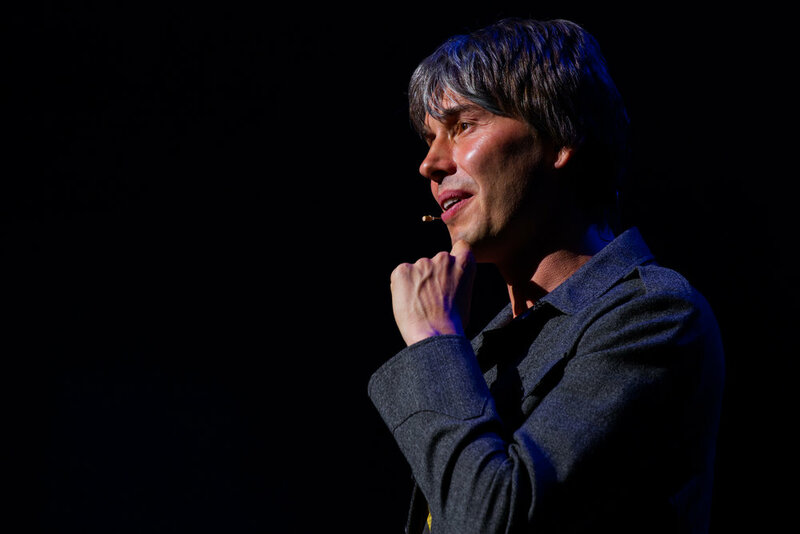 Prof Brian Cox will be embarking on his first World Tour, visiting North America, UK, Europe, Asia and the Asia Pacific. Brian Cox will return to Auckland on 15 June 2018 and Wellington on 11 June, and travel to Christchurch for the first time on 13 June. Using state of the art graphics and imagery from ground-based telescopes and space probes, presented using ultra-high-resolution LED screen technology, Brian will explore the latest missions to the planets, the nature of space and time from the Big Bang to black holes and the origin and fate of life and intelligence in the Universe. He will also address questions about the value of science, how we acquire scientific knowledge and why we should trust it. Visual highlights will include a journey around and into a black hole, created in partnership with Double Negative, the four-time Academy Award-winning visual effects company responsible for creating the black hole effects in the movie Interstellar. Whether an avid science reader or a total novice, Universal will make the latest scientific discoveries and ideas accessible to all, exploring the vast, possibly infinite universe from earth to the edges of the cosmos; it will also challenge the audience to think about our value as human beings and our place amongst the stars. “On the last tour I loved talking about astronomy and cosmology with vast, state of the art screens to display images of the cosmos as we’ve never seen them before,” Prof Brian Cox said. Brian Cox is one of the preeminent physicists in the world and is Professor of Particle Physics at The University of Manchester, The Royal Society Professor for Public Engagement in Science and a Fellow of the Royal Society. As a broadcaster, he has presented a number of highly acclaimed science programs for the BBC, boosting the popularity of subjects such as astronomy and physics and garnering a host of accolades, including two Royal Television Society awards and a Peabody Award for Wonders of The Solar System. He has also authored a series of best-selling books, including the widely acclaimed Human Universe and most recently, Universal: A Guide to the Cosmos, and is recognised as the foremost communicator for all things scientific. His critically acclaimed BBC series Forces of Nature aired in 2016 and he co-hosts Stargazing Live in the UK and Australia.